Andrew is your local Prospect Building Inspector. 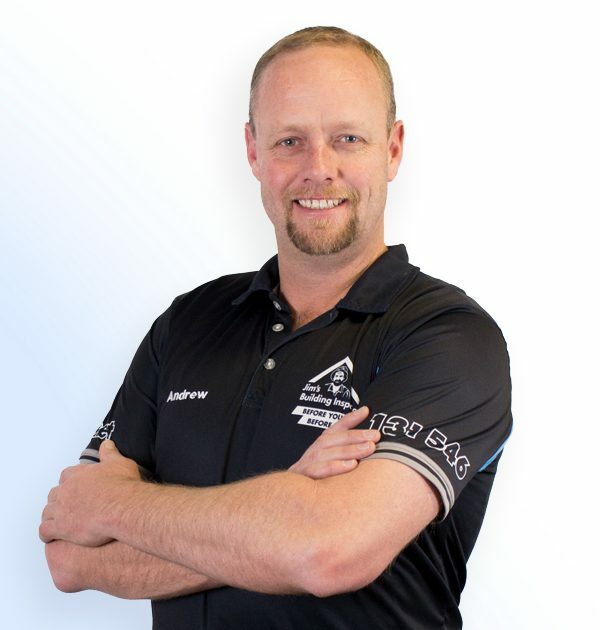 Andrew has had over 25 years experience in the building industry and embraces a diverse knowledge base from the Hospitality and Health Sector including hospital upgrades and building nursing homes to residential home building and design. As Adelaide’s first Jim’s Building Inspector and being born and bred in the metropolitan area Andrew can draw on a lifetime of experience in the local area to ensure that you go into your next purchase with eyes wide open. Andrew offers a wide range of home inspection services that range from basic, cost efficient Pre-Purchase Building and Timber Pest Inspections to Premium Building Inspections (which incorporates a Licensed Plumber, Electrician, Building Inspection and more to give the client total piece of mind when purchasing a new home). Andrew is fully insured with complete Public Liability and Professional Indemnity Insurance. Andrew is only too happy to answer any query.